I have some exciting news for you :) eeeep!! I've Won A Trip To PARIS!! On monday i entered this competition of 'The Impulse Diaries' Facebook page. You had to upload a phot of yourself looking glamourous to win a trip to Paris. I don't even know how i came across it but some how it was on my news feed and they had posted some of their favorite entries so far. So i was like, ahh this looks good, might as well try and enter. 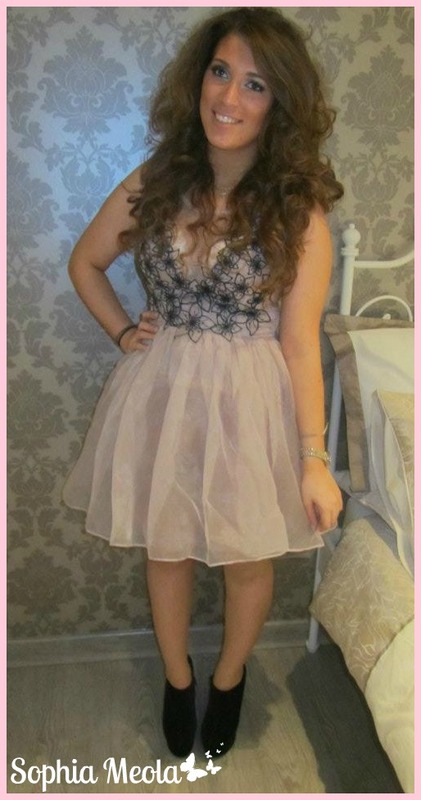 I uploaded a photo of myself from my cousins 18th birthday last friday night. I got an email yesterday mid day saying that i'd won :O i was literally reading my email in super shock, because i haven't won anything before, anything! "We loved all your glamorous pics in this weeks competition!! It was very tricky picking a winner but we couldn't resist Sophia Meola's gorgeous dress. Congratulations to Sophia who has won a trip to Paris for her glam look!" I contacted Impulse yesterday with all my contact details and so on and i'm just waiting on a reply with details about everything! As soon as i know anything i will keep you all informed!